What if I told you there’s a character in Fallout 4 that’s snooping on you throughout a good chunk of the game? If you’ve gotten to the Railroad, you probably already know this. Deacon tells you as much after he vouches for you in front of everyone, and that’s something he can only do because he’s been spying on you. But FluffyNinjaLlama went back through the campaign and actually recorded all the instances that Deacon shows up in the background, Where’s Waldo style. Better yet, FluffyNinjaLlama actually goes up to Deacon and talks to him, so you can see how he tries to play his disguise off. It’s one of the coolest easter eggs in Fallout 4, and worth watching even if you already know of its existence. 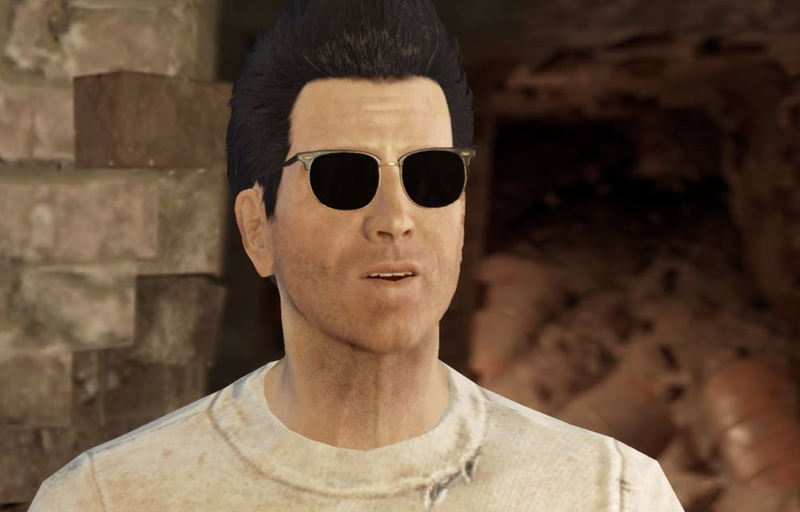 So, where and when can you find Deacon before you officially meet him in Fallout 4? And where can you find clues that he’s been tailing you all along? Right near your vault entrance, there’s a little station where he watched you leave Sanctuary. Hence the Railroad sign painted with an “ally” sign on it. When you first enter Diamond City, he’s one of the guards. He’ll greet you if you go up to him. During Hancock’s big speech in Goodneighbor. You can talk to him at that point, while he stands in front of KLEO’s store. When you go into Memory Den. He’s in one of the pods. When you first enter Bunker Hill. He’ll chat then, too. I can’t believe I missed every single one of these. I mean—I spotted a few, but I didn’t know I was looking at a guy in a disguise. Kind of hilarious, when you consider what horrible disguises they are in the first place. Amazing.